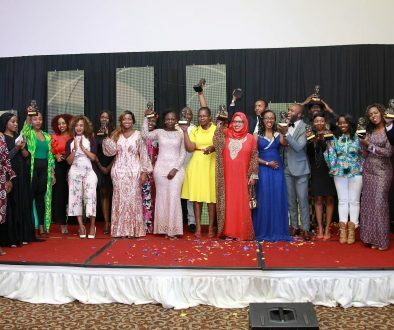 This year’s BAKE Awards winners’ gala was held on Saturday 14th May, 2016 at Radisson Blu, Upperhill. The event kicked off a few minutes after 7pm with the host Bonney Tunya welcoming the attendees to the fifth edition of the awards. He followed up by interviewing the BAKE chairman, Kennedy Kachwanya, about the awards history where they talked about the 5-year-old journey. The awards were started in 2012 as a reward mechanism to recognize exceptional Kenyan bloggers. Each year in January, Kenyans get a chance to submit blogs to participate in the awards. Once submission phase is closed, selected judges go through the submitted blogs and choose the best 5 blogs from each category that will proceed to the voting phase. It is the blogs that garner the most votes in each category that are declared the winning blogs. Muthoni Maingi, Safaricom’s Digital Manager for Enterprise and Consumer business, formed part of the judging panel this year. 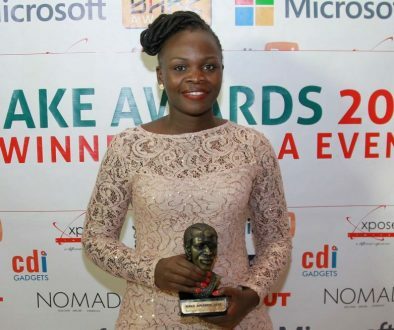 She was interviewed by Bonney Tunya during the winner’s gala to give insights into the nomination process and the key blogging elements that were considered for a blog to be nominated. An auditor from Mazars Audit firm, Eric Gacharia, was also at hand to talk about their audit of the BAKE awards voting platform. Once this was done, it was time for the winners to be announced and for presentation of the awards to get underway. Some of the winners for the night included Jackson Biko (bikozulu.co.ke) who won two awards; Best Creative writing blog and Blog of the year, Ben Kiruthi (benkiruthi.com) – Best photography blog, Diana Kaluhi (kaluhiskitchen.com) – Best Food blog, Claire Kinuthia (theycallmedaktari.com) – Best New blog, Lucia Musau (luciamusau.com) – Best Fashion Blog, Ernest Wamboye (ernestwamboye.blogspot.com) – Best Religious/Spirituality blog. The full list of winners can be accessed here. The event saw a good attendance that went to show the interest Kenyans have in developing and investing in the online space. Some notable attendees included Dennis Itumbi, Government Digital Strategist, Kate Getao from the Ministry of ICT, Boniface Mwangi – activist, founder PAWA254, and Sam Gichuru – CEO Nailab, among others. After food and refreshments, the awards gala came to an end at 10.30pm having been a great success. 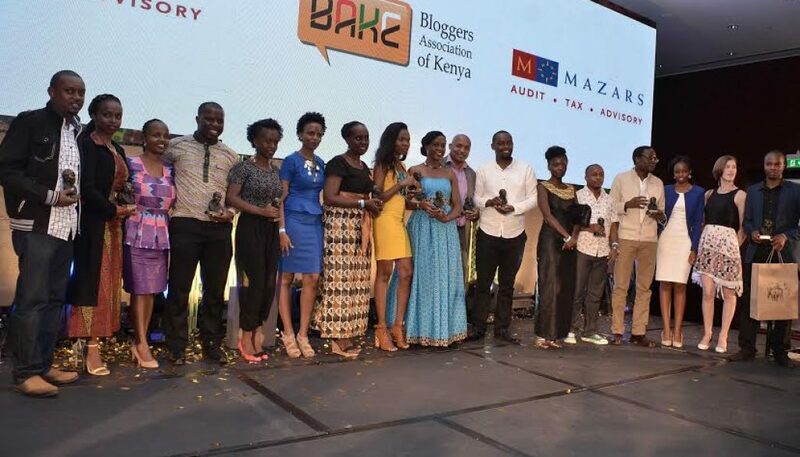 The 2016 Kenyan blog awards were sponsored by Safaricom, Xpose, EatOut Kenya, Coca Cola, Samsung, Kenya Bankers Association, Intel, Uber and Metta. To view some of the pictures taken during the award, visit this link.